Hello! 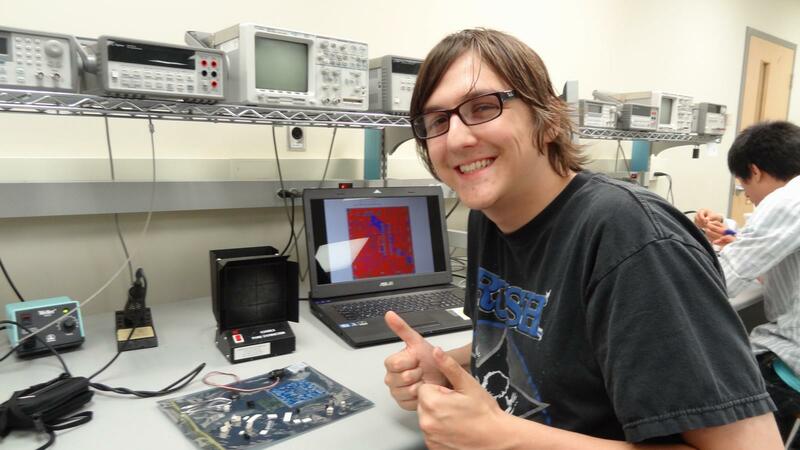 I am Cody Shaw, and this is a documentation into my exploration of Electrical/Electronics Engineering. I am a third year Co-op Electrical Engineering student at the University of Waterloo. I have many ideas, and I hope you can learn as much as I do from this site! A bit about me; I really enjoy electronics and physics. One of my goals for a long time has been to earn a PhD in Theoretical Physics, and to work at CERN. Recently though, I have come under a dreadful lust for RF circuit design, and I hope to do some projects with RF in the near future. Many of my favourite books are by Stephen Hawking and other great theoretical physicists. One of my main idols is Richard Feynman, his work has been a great influence on me. I enjoy electronic music, but by far my favourite band is Rush. I also play video games, almost exclusively on my computers. Anything by Valve! If you would like to view my current resume, it is available upon request. Not Bad, and is that the Arduino? Not exactly, it was a board made by a 4th year Tron for the competition. We ended up using Atmel chips with the Arduino bootloader on it though, so it’s technically an Arduino sans the hardware!